You’ve probably heard the saying “Pull out all the stops” before. Do you know the origin of the phrase? It comes from air driven organs (the musical organ like a piano); it can be a pump organ or a higher end organ that you don’t have to pump. Either way, organs have controls called “stops” that you pull out to change the voicing or set of pipes being used. When you really want to play loudly, pull out all the stops! It’s very tempting when sending an email or creating a sales page to “pull out all the stops” and throw everything you have into the mix. You may be writing a sales page for your newest software product, but because you’re not getting the sales you want on some other products, you mention them too, or at least put their links on the page. And if you’re going to put those links on the page, well, you may as well put links to all your products on the page and your affiliate products too. The problem is, even if you have great sales copy, this shotgun approach will confuse the reader and scatter their attention. They will click on this and that, and go here and there. You just want them to purchase your product. After that, show them your other wares. Speaking of shotguns, do you know the difference between a shotgun and a rifle? A shotgun uses a cartridge that contains small pellets. When you pull the trigger, instead of one big bullet, you’re blasting a handful of small pellets towards the target. This makes it easier to hit your target if your aim is not all that great, or, if your target is really small. A rifle shoots a bullet, one single projectile, so your aim has to be more accurate with a rifle. The advantages of using a rifle are longer effective range, a better chance of taking down your target, and a cleaner kill. But you must have accurate aim to use a rifle. My grandfather was an avid hunter and marksman, my dad tells me that he would go squirrel hunting with a .22 rifle (a .22 caliber rifle shoots a very small bullet, just under a quarter of an inch in diameter). Most people hunt squirrel with a shotgun because they’re little (the squirrels that is), and they move around a lot, this makes them very hard to hit. 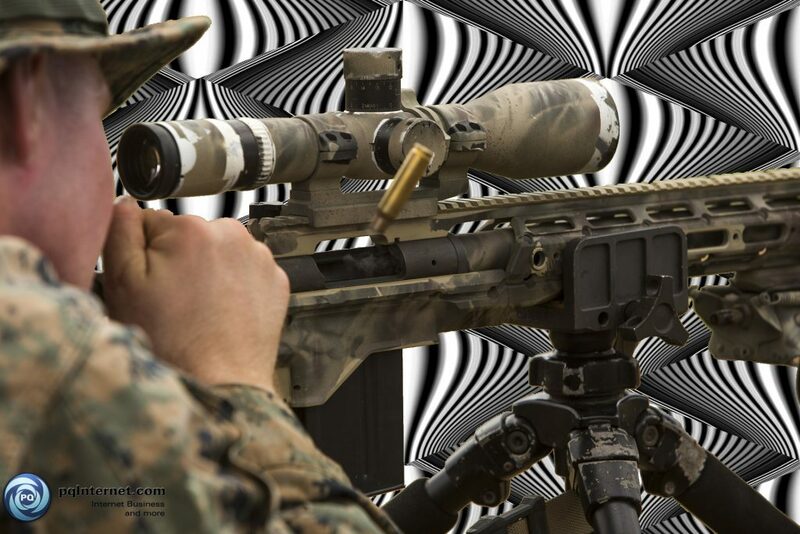 Use a rifle approach with your marketing message and materials. You will rarely see a shotgun approach by a successful copywriter. Conversely, most inexperienced people will try to “pull out all the stops” and put everything they can think of in their sales pitch. Marketing is very similar to hunting. Hunting requires certain weapons or tools, training, experience, and patience. Copywriting requires the same things. In either activity you don’t want to return home empty handed! Mastering either is much faster and easier if you have access to someone with a lot of experience to teach you. If you’re just getting started with Internet Marketing, then signup to my mailing list and you’ll receive my How to Make Money Online and my SEO Brain Dump! This is not what your product does, but rather what your product will do for the reader. Do appeal to the reader’s emotions. Don’t go into great length on technical details unless you’re selling a technical product to a highly technical market. Don’t use too much copy: tell them what you’re going to tell them, then tell them, then tell them what you told them, but don’t write War and Peace. Don’t mix in unrelated copy. Do cut out all the fat. Don’t include links to unrelated products or web sites. Do make the purchase link or button easy to see and find. Do test links in your emails, ads, blog posts, etc. to make sure they work. Remember, split focus = lost sales. Keep your marketing message tightly focused, make it appeal to the reader’s emotions, and provide an easy path for them to follow to make a purchase.